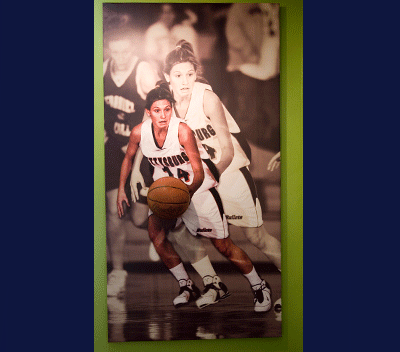 Gettysburg College Student Dining : "Basketball Girl" Banner on frame with actual 1/2 basketball affixed. 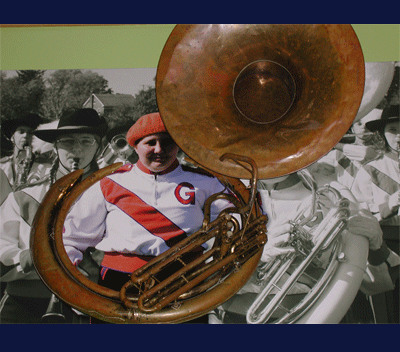 Gettysburg College Student Dining : "Sousaphone Girl" Banner on frame with actual sousaphone affixed. 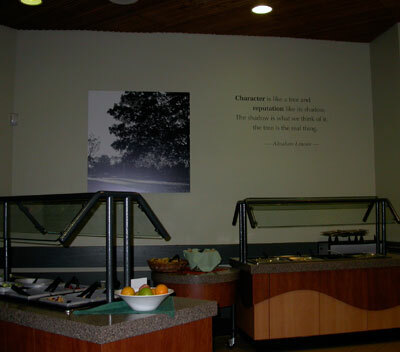 Gettysburg College Speciality Dining : Photo reproduction with "wall lettering."